FINIKIA. 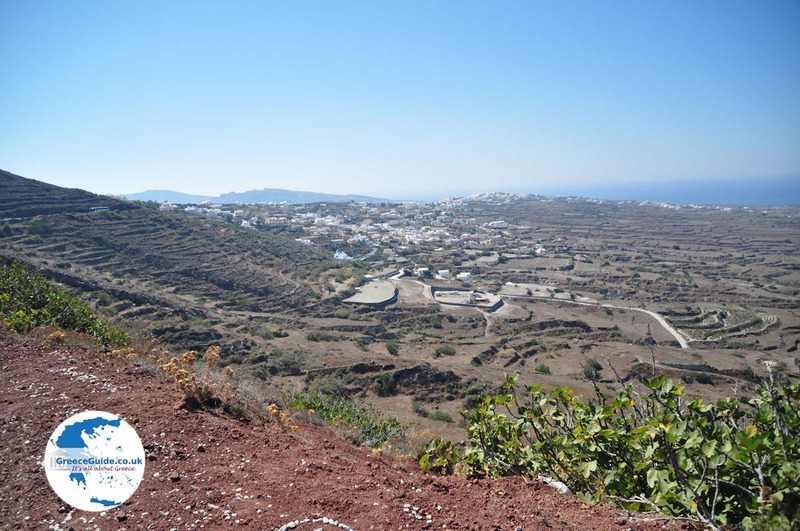 Finikia is a quiet and picturesque village in the north of the Greek island of Santorini, between Fira (nine kilometers/5 mi) and Oia (two kilometers/a little more than a mile). 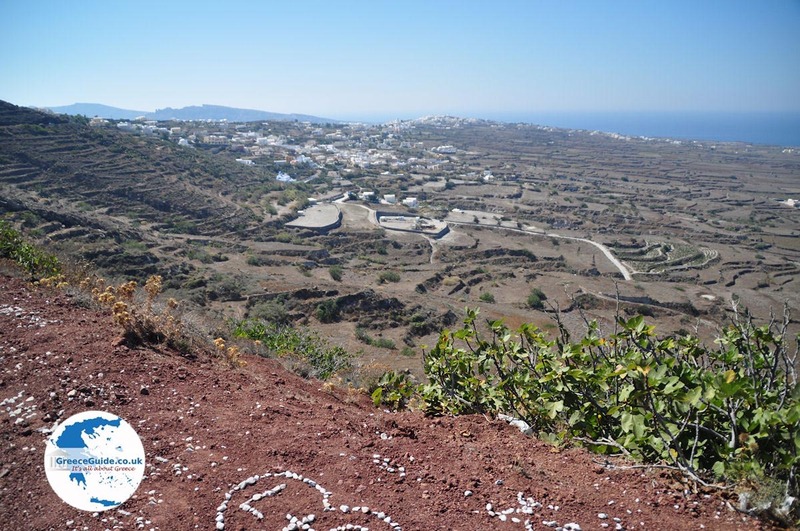 Unlike Oia, Fira, Firostefani and Imerovigli, Finikia has no view to the caldera. Still, it is a very nice village, which does have a fine atmosphere and style. White, salmon and ochre colored houses, churches and cave houses dug into the rock, make this traditional village special. In Finikia is the Church of the Holy Mother Maroulinani. Every year there is a procession on February 2nd in her honor. Another famous church is the church of Agia Matrona which is built into the rock. A large festival in the village honors Agia Matrona each October. The many narrow alleyways of Finikia lead you to a number of good taverns and rooms for rent. This village, home to many artists, was once a farming village. Farmers from the region worked mainly in vineyards in the north and east of Finikia. 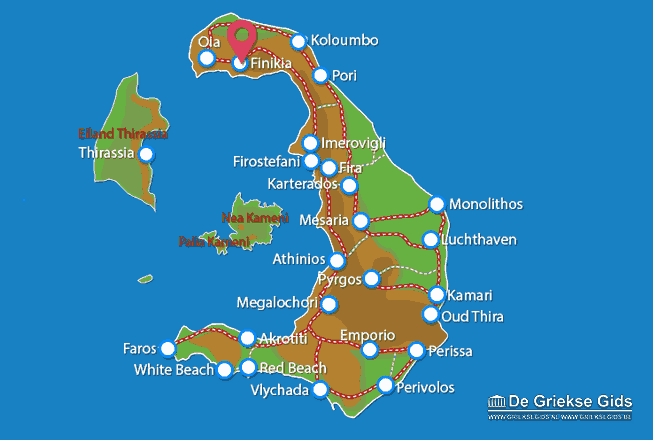 Beyond Finikia, are the beach of Baxedes and Oia in the north and the beaches at Koloumbo and Pori on the west of the island. 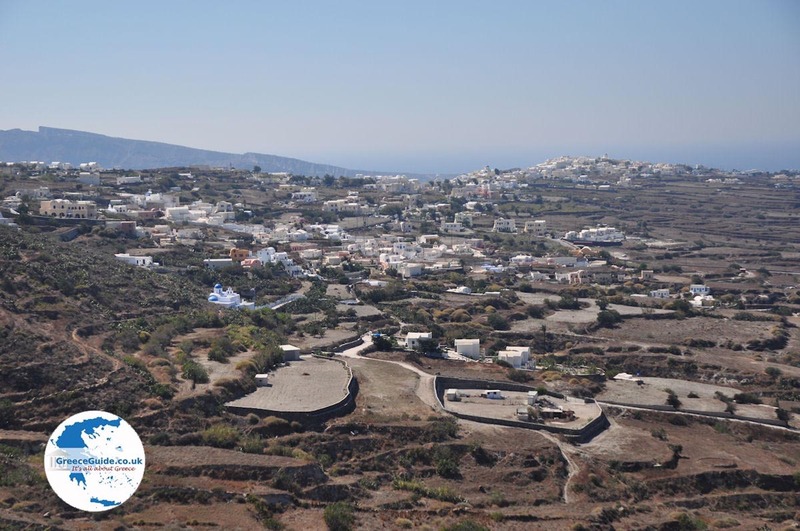 Santorini: Where on the map is Finikia located?